Earlier in the year we reported how thousands of MS-DOS games were now playable in your browser thanks to the Internet Archive. 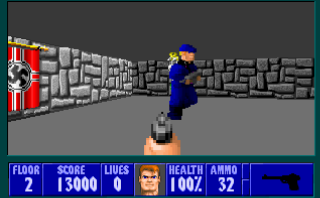 Well now things have moved on a bit - you can now embed and play DOS games in Twitter. Never before have I been more irritated that we can't embed Tweets here, but I can at least link you to one I may have posted as an example for this story. There's still questionable legality surrounding the Archive making all of these games available for free, but at the same time there's a very genuine reason for it - we need to preserve these games, and we need somewhere we all know we can go and find out about those who came before. And play Prince of Persia halfway through having a Twitter spat with a celebrity.